We were running along a sand/rock shoreline when Cecil spun the boat around and killed the engine. 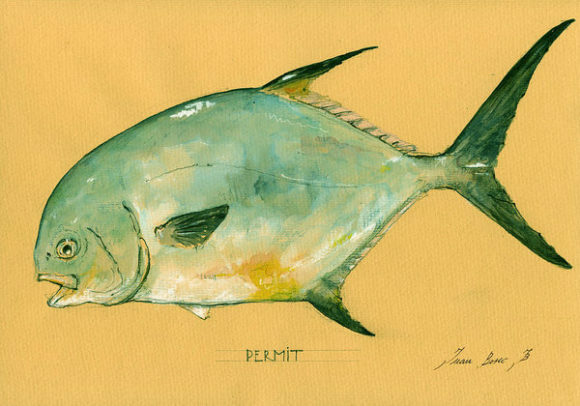 Permit, by Juan Bosco. Click the pic to go to the art site. My reaction to the news was not joy, but more a sense of dread. Permit shots are things to screw up. Permit shots become moments of second-guessing and regret. Permit shots almost never end well. Elliott, a day after catching his first bonefish, gave me the bow and I got up to throw at the thing. I could see it, silver-bodied and black-tailed against the white bottom. The first and greatest hurdle had been cleared… finding the fish. Here was the fish. He was in range. He wasn’t running. I had no wind. The set-up was good. I was worried about the fly. Was it heavy enough? I put on a tan shrimp with barbell eyes. It would get down to the fish, although the fish was maybe in 5-6 feet of water and it would take time. In the back of my mind I had two thoughts about the fly. First… it wasn’t a crab. Aren’t you supposed to throw crabs at permit? Isn’t that how you are supposed to do it? Secondly, why don’t I have more good looking crabs? I don’t fish crabs often at all, but why is that? Has my avoidance of crabs handicapped every permit encounter I’m going to have for the rest of my flats fishing life? Cecil told me to shoot at the fish and I did. The cast wasn’t bad. I was in the zone, but again, doubts crept into my mind. I went back to my first (only) permit from Belize, a small fish to be sure, which behaved in most ways like a jack, chasing down a fly stripped quickly and eating an inch below the surface. I also thought back to my one permit shot in Cuba where I again stripped the fly in quickly and the permit followed, putting his frigging nose on the fly without eating it before becoming board and blithely giving up on the chase. There was also the permit shot in Mexico where the fish lit up on the fly when stripped, but then gave up. But… aren’t permit supposed to eat only crabs cast 10 feet in front of the fish when the fly never moves an inch and the fish simply intuits the fly’s presence? So… strip or not to strip? In the end I managed to pick the middle road the satisfied neither type of permit. The fly landed about 5 feet from the fish and the permit saw it and moved toward it, looking interested. At this point I simply gave it a slight twitch and that was enough for the permit. It moved away and started ambling leisurely away from us. We followed, waiting to see if it would turn. I asked some follow-up questions of Cecil like “WHAT SHOULD I DO! ?” He was in the “leave the fly alone” camp. Noted. Mostly, the fish showed us his back. I made a couple more casts when he turned slightly, but to no avail. The last cast was too close and it moved away, disappearing over a darker bottom. OMG… Grand Bahama is NEXT WEEK! I didn’t fully fill up my new fly box, but I did put some good Grand Bahama meat in there. I have the rods and the lines and all my gear. I have my sunscreen and my Body Glide to prevent that inner thigh chaffing that can straight up ruin your trip. I’m ready to head to Grand Bahama and East End Lodge. Sometimes the anticipation of the thing is better than the thing itself. I’m betting this is NOT one of those times. My next trip is NOT going to sneak up on me. I started tying for it last night for East End Lodge in Grand Bahama. I’m tying some meat flies. #2’s. Some with lead eyes, some with bead chain, all with more material that two #6’s use. 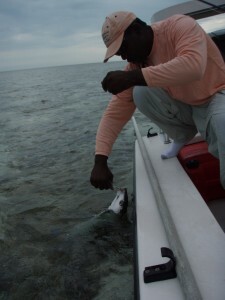 The fish of Grand Bahama, to my memory and from my limited experience, are just bigger than most places. The may average around 4 pounds and I’ve seen the photographic evidence of fish will into the 10+ pound range. Hawaii, the West Side of Andros and Grand Bahama seem, to me, to be the best places to look for your 10 pounder. This trip is going to be an interesting one. I may finally get to meet BTT’s Justin Lewis and I’ll be accompanied on this trip by Elliott Adler, who produces The Drake Cast (the Drake’s podcast, which I highly recommend). Elliott has never caught a bonefish before and he’s going to be in the waters of my first bonefish. Yeah… I agree. This sounds like such a bad project for the things I love. Bonefish & Tarpon Trust (BTT) is an international non-profit organization dedicated to the conservation of bonefish, tarpon, permit—the species, their habitats, and the larger fisheries they support. We work in a broad geography that spans the Caribbean Basin from its easternmost anchor in the Bahamas. 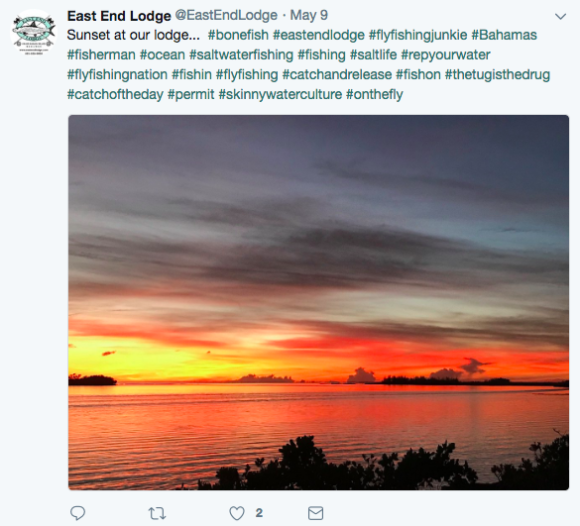 Locally, we have worked for many years in the Bahamas, collaborating with the Bahamas National Trust, anglers, guides, fishermen, and other leading NGOs. 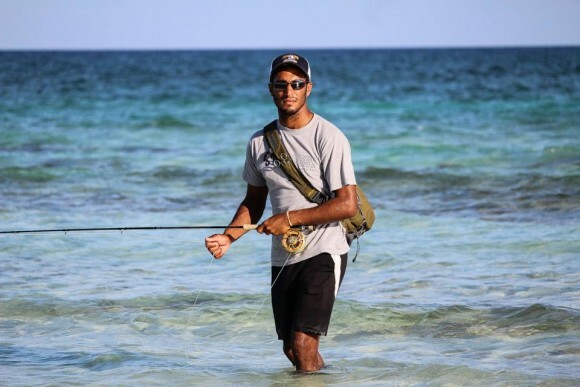 Studies have shown that the flats fishing industry in The Bahamas contributes in excess of $141 million to the Bahamian economy annually, making it a valuable sustainable natural that benefits thousands of Bahamians, especially in rural communities. The Island of Grand Bahama is an area where BTT has placed significant effort and continues to do so because of its expansive healthy flats habitat and thriving recreational bonefish fishery. It is where I, as a native Bahamian working for BTT, am based. Years of research by BTT and our collaborators has identified habitat loss and degradation as the greatest threats to bonefish and their habitats. Developments involving dredging, sand mining, and other manipulations of nature pose a significant threat not only to bonefish but a range of other environmentally and economically important species and habitats. We received the news of the recently announced OBAN energies development in East Grand Bahama with great interest due to its potential impacts to the flats, coral reefs, and deep ocean—our most valuable natural resources—not only in that area, but along the entire southern side and eastern end of Grand Bahama. The OBAN plans to construct a large oil refinery and storage facility will require significant dredging, which will pose risks to our local marine environment and threaten fresh water aquifers. The 250,000 barrels of heavy crude oil slated for daily production also deserves closer scrutiny. Heavy crude oil is similar to bitumen, which comes from the oil sands of Canada, and has caused significant environmental issues there. Heavy crude emits three times as much CO₂ as regular crude oil and even coal and contains large quantities of heavy metal contaminants and sulfur. Additionally, the silt created from the large amount of dredging to be done would be carried by prevailing winds and currents to our beaches, aquifers, the flats, and coral reefs along the entire south side and east end of Grand Bahama. Any future oil spill would follow the same path. Directly in harm’s way would be the Lucayan National Park, East Grand Bahama Protected Area, and the Northside-Gap National Park, which protect important bonefish spawning aggregation sites, bonefish spawning migration pathways, and bonefish flats that support the economically valuable fishery. 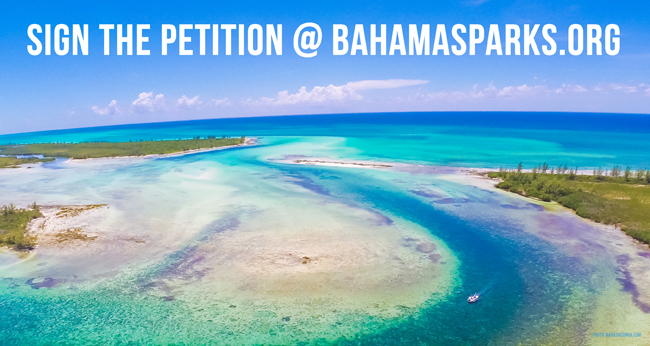 In consultation with other stakeholders in the Bahamian flats fishery, particularly in East Grand Bahama, we write to urge the greatest care in assessing this project and its environmental impacts. Topics that should be considered while conducting the environmental impact assessment should include: likelihood of an oil or other chemical spill; if a spill occurs how would it be contained, and where would the resulting pollutants be transported by ocean currents and through the aquifer; what will be the impact to the natural resources that support the travel and tourism industry; what will be the economic costs to the flats fishery due to the loss of anglers; will safeguards be in place in case the project fails or ceases operation. Thank you for your consideration. As always, please consider BTT an information resource for bonefish and flats conservation efforts. We stand ready to provide assistance—please don’t hesitate to contact us with any questions or concerns. I caught my first bonefish in Grand Bahama. I had my last family trip with my mom on Grand Bahama Island. I caught my first DIY bonefish in Grand Bahama. I had my first cracked conch in Grand Bahama. I’ll be adding to those memories when I head back to Grand Bahama in July. It is a bonefish paradise. It is also an island under some significant threat. There are the existing insults to the ecology of the island like the mining operation on the north side of the island. There are also the cruise ships and the garbage and spills that come with that. Cruising is not so green. Here’s a report card for cruise ships and it seems like many of those earning F’s also happen to make stops at Grand Bahama. There are other threats on the horizon. Those include a second oil storage facility to the east of the current tanks. This project is supposed to dwarf the existing storage. I’m pretty sure I’ve fished (and caught fish) very close to where those tanks would go. The existing tanks on GBI. Additionally, on top of the storage is a proposed oil refinery. 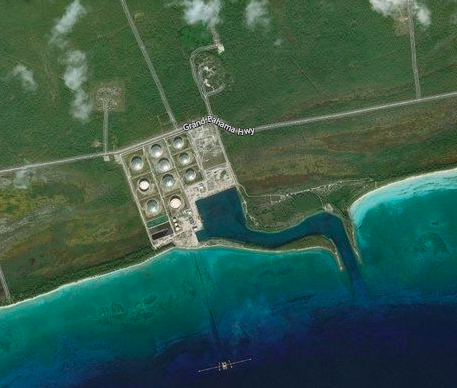 An oil refinery… on the coast of an island not infrequently raked over by hurricanes. I mean… what could go wrong, right? 250,000 barrels a day in processing capacity. Luckily, the figures behind the deal are totally, like 100%, totally, very much beyond reproach (sarcasm). There was also a cruise ship port slated for the East End (or, eastern side, it is unclear to me) of Grand Bahama, although that project got inked and then hardly mentioned since. So… who knows. If it happens it 1. wouldn’t make a lot of sense for me given the location (although it would make sense for the government who would like to not have everything controlled by the Port Authority, a private company that owns a hell of a lot of what is in and around Freeport), and 2. would certainly be less than awesome for the fishery. This all comes at a hard time for the island with the current close status of the Grand Lucayan, which removed about 59% of the island’s available rooms and about 1,000 jobs. The economic impact is probably greater as many of the businesses that depended on the economic hub that was the Grand Lucayan have taken significant blows to their incomes. There is an LOI in place for a new buyer, but, as many things are in the Bahamas, the details are somewhat murky, lacking a clear process or outcome. You know how much economies love uncertainty. Jobs may be on offer with the various projects, but it does hit at the sustainable resources that are the heritage of the Bahamian people. There is a lot of wonderfulness in Grand Bahama. There are miles and miles of pristine coastline and miles and miles of pristine flats. Even if all these projects happen the fishery in Grand Bahama will still be amazing, but it will also probably be slightly less than it is now. One saving grace may be that these plans are grand in scale, scope and cost and while men are capable of coming up with grand plans, they are often only capable of implementing half-grand plans. Cruise ships. Not my favorite things, especially when it comes to dredging new ports and everything that comes with those ports. 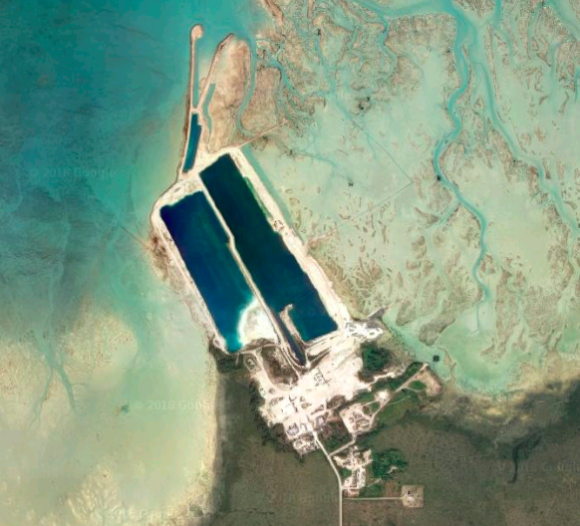 So, news that a new port was going to be put in EAST GRAND BAHAMA is not good news (also known as Bonefish Valhalla). Grand Bahama is kind of an economic wreck. 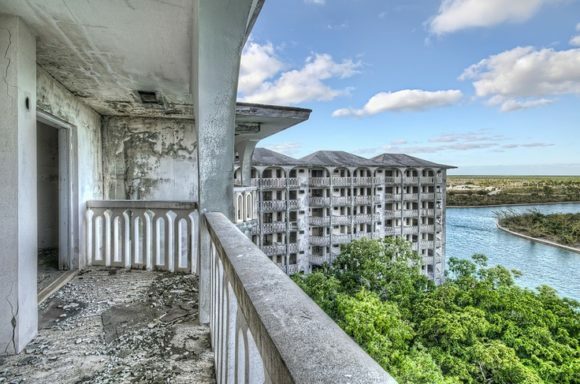 The hotel market has been hit hard by the closer of the Grand Lucayan and some of the cruise ships that used to stop in GB are heading now to Cuba. Grand Bahama is already a developed location, the second biggest city in the Bahamas is Freeport (at about 48K it is some ways behind Nassau at 240K), and the cruise ship facilities are already there. I know Freeport can be a challenging destination though. Good restaurants can be a challenge to find (although Pier One is AWESOME) and there are a lot of places that have a derelict feel to them. Casinos helped build Freeport as a destination back when only six states allowed gambling, but now you can efficiently lose your money in a game of chance in 30 states. The drain on the Grand Bahama economy has been drawn out with a combination of physical and financial hurricanes hitting every few years. The Arawak Hotel, abandoned in the 80’s. Still… Freeport is where the people are, where the workers are, where what infrastructure that exists can be found. The idea of putting in ANOTHER port, with all the environmental destruction that comes along with that, is… well… sad AF. The story up at the top says the port with be on the North Side of the island, which makes zero sense to anyone I’ve talked to and it is generally seen as an error and that the port really will be on the South Side, which, as far as these things make sense at all, makes more sense. The exact location of the port wasn’t released and what is out there thus far still says the North Side. A port on the South side is really unfortunate. A port on the North side is insanity. You’d have to dredge a huge channel and while the PM said the location was selected to have the least impact, there really is not place on the North that would not have a big impact if you were to put a cruise ship port and all the support elements you need for a port. The other part of this story is… is this just politics? Elections are coming soon and these sorts of projects get announced before every Bahamian election, even if most of those projects don’t come to fruition. So… maybe this is just a YUGE campaign promise. The idea itself, of a new port anywhere on Grand Bahama and even more a port on the North side of the East End… what a disaster for the Bahamian people. UPDATE: I am hearing it is likely on the South side, although there is no update from the government on that. Opposition to the plan has been in place for as long as word about the possible port was mentioned. This is from last November. This last January I had a few days of fishing in Grand Bahama, one of those days I got a guide and the others I went on my own. I mostly had my arse handed to me on the self-guided days, but had a great day with the guide I booked, Captain Perry, out of McLeans Town on the East End of Grand Bahama. I recently called up Captain Perry and asked him to do an interview and he agreed. Because of this know I need to get some sort of recording device, as I missed a couple comments (at least) and didn’t catch some of the local flavor of his remarks. If I make it back to Grand Bahama, I hope to see Captain Perry again from the bow of his flats boat… wouldn’t mind being there for a day to equal his most memorable from below. 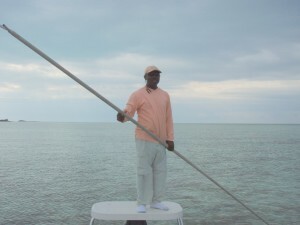 Captain Perry, Grand Bahama Guide and Good Guy. Do you have a favorite place to eat on Grand Bahama? I go to a place in Port Lucaya, Le Med. Being out on the water a lot you see odd, interesting or strange things. What’s the most interesting thing you’ve seen? The shark eating the bonefish is pretty interesting, the speed of the bonefish is amazing, but the sharks hunt them down. Do you have a guided trip that stands out in your memory? Back in 2002, caught 127 bonefish in a day, wading. I’ll never forget that one. It was all to do with the weather. We’d had had some messed up weather before that, but that morning, the weather was nice. We fished for 8 hours and fish were everywhere. The following year I went out with the same guy about the same time of year and we saw one fish all day. What do you think makes GBI a destination that bonefish anglers should check out? Give me the top one or two reasons. You can take almost a direct flight from the East Coast. That’s it right there. There is no need for a charter flight, no need so spend the night anywhere. What’s your favorite tide to fish, or does it matter? Around here, the incoming tide is good, but we have two tides, so we can get to find an incoming tide on one side or the other of the island. A low incoming tide is really good. What’s your favorite month to fish? You can fish year round as long as there isn’t a cold front. Do you have any lodging ideas for anglers looking to stay and fish the East End? Freeport is pretty far away. There’s a place called Ocean Pearl in High Rock, it is half way. That’s a good place. On my trip with you in January, I landed 12 bonefish… I’m guessing that a more accomplished bonefisher might have had 20. Sound about right? Yeah, I think that’s about right. I was impressed with how careful you were in handling the fish, never even taking them out of the water. 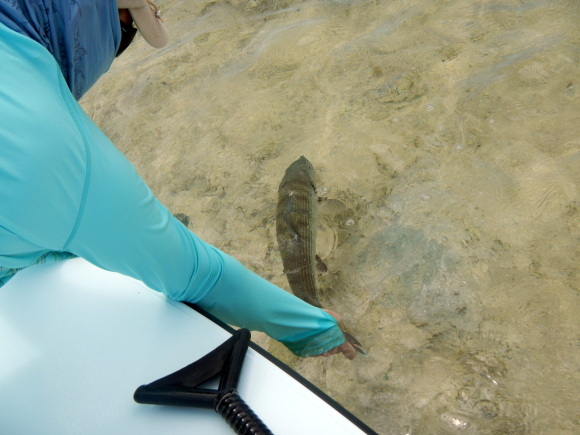 You certainly are up to speed on the best practices for handing and releasing bonefish. Are you seeing more anglers and guides being conscious of bonefish handling or is there still a lot of ignorance out there? There is some way to go, for a lot of the guides, a long way to go… a long way to go. I think it will take some real knowledge about what’s going on with the fish. They need to experience it themselves. If you tell them, they don’t get it. They need to get the knowledge themselves. I see two or three guides that really get it, but there are still a lot that have a long way to go. Drop the Grip and Grin and the fish will live to fight another day. There is a push to get some new parks created in the Bahamas, specifically on Grand Bahama. National Parks are created when a society decides it wants to protect its natural heritage. We’ve been very successful at this and our National Parks are crown jewels, special places. I’m glad to see the Bahamas embracing what is special about their islands. I’m guessing that these parks would not ban bonefishing, as some of these parks are in the best stuff, especially the East End proposed park. The site has videos you can watch with a bit more information about each proposed park. The East End park even has Flip catching a bonefish. PS… If you’ve fished the East End, you’ve almost certainly been by the spot in the above picture. When I was last there I actually caught one or two bonefish right on this flat.